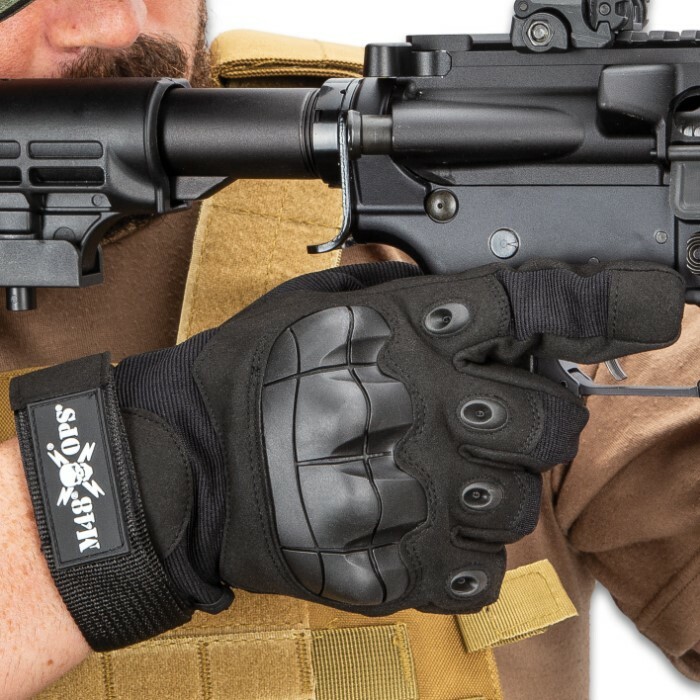 M48 Tactical Full Finger Gloves - Microfiber And Breathable Nylon Construction, TPR Knuckle Guards, Adjustable Wrist Strap | BUDK.com - Knives & Swords At The Lowest Prices! 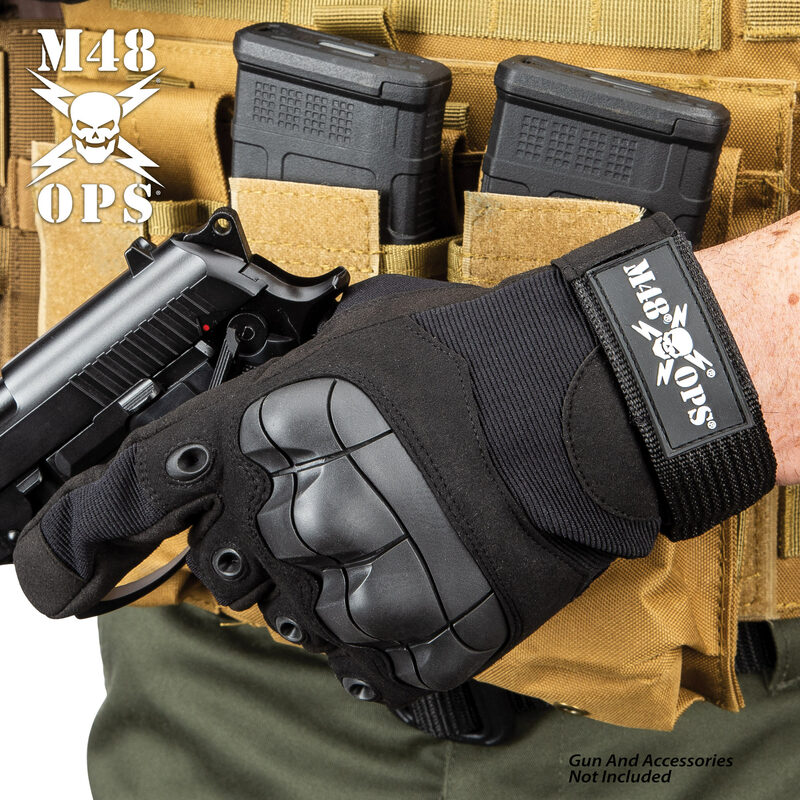 The M48 Tactical Full Finger Gloves are anti-slip, wear-resistant, lightweight and fast drying, making them suitable for a variety of activities and uses. 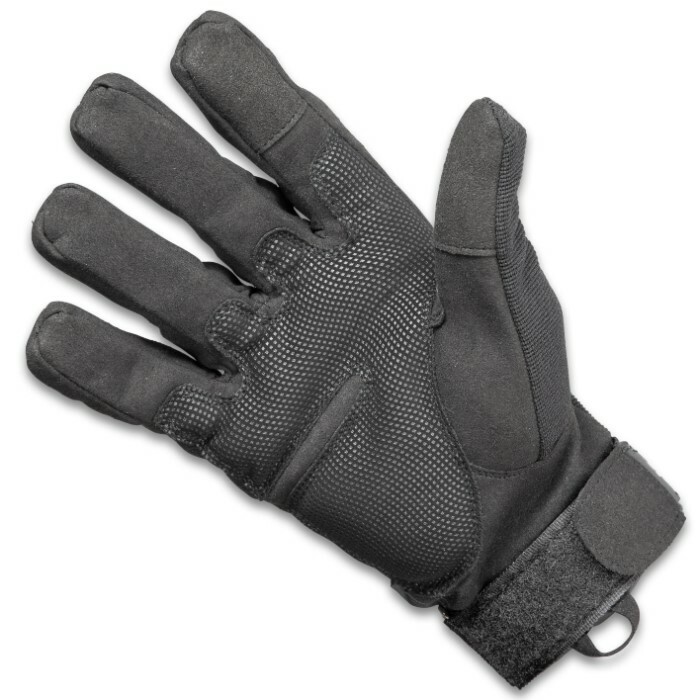 Wear them for work, hunting, shooting and riding or add them to your tactical and mission-ready gear. 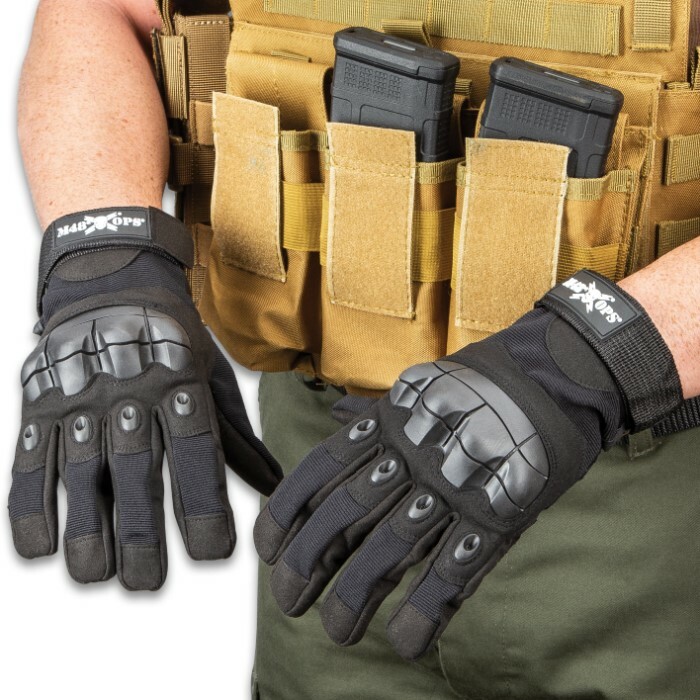 The tactical gloves are made of high-performance microfiber and breathable stretch nylon with reinforced palm panels for added durability and protection. They feature molded and shaped TPR knuckle guards to give your knuckles the ultimate protection from impact and abrasions. Each glove has an adjustable nylon webbing wrist strap with a Velcro closure and they also have a loop for attachment to gear or uniform. 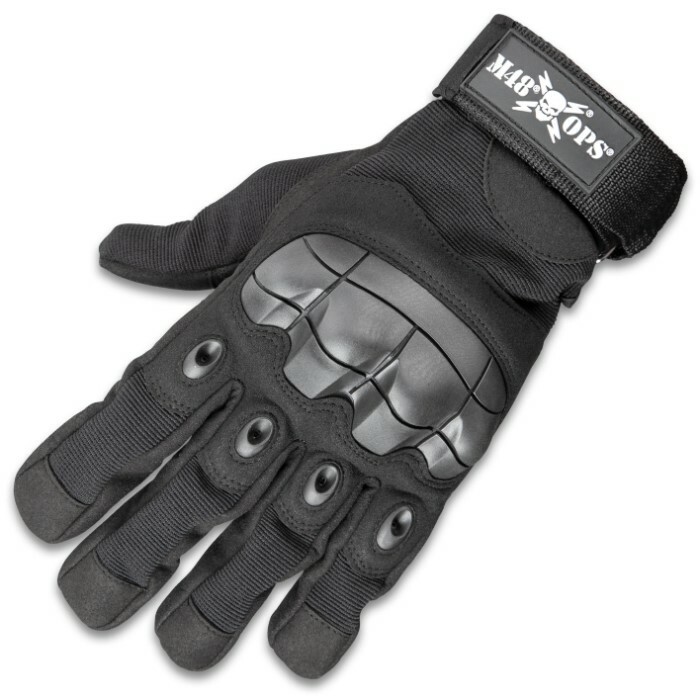 The tough, black gloves are available in sizes large and 1XL.